If you want an easy-care evergreen with unique, attractive foliage, take a look at giant honeybush (Melianthus major), native to the southwestern Cape in South Africa. Tough, drought-resistant honeybush is considered a roadside weed in South Africa, but gardeners admire its dramatic, blue-green foliage. If you are interested in Melianthus honeybush information or would like to start growing honeybush plants, read on. 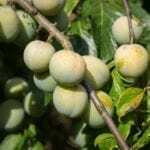 What is a honeybush anyway? It’s a lovely shrub often grown for its textured foliage. If your garden lacks texture, honeybush cultivation might be just the ticket. Unlike flowering plants, those grown for their foliage usually look better every passing week, and make their neighbors look better too. Melianthus honeybush information describes the shrub’s foliage as 20-inch, pinnately compound, saw-tooth margined leaves. What that means is that honeybush produces long, graceful leaves like giant ferns. These can grow to 20 inches long, and are made up of some 15 thin leaflets with saw-tooth edges. If you are growing honeybush outdoors, your shrub may get flowers in summer. They appear on long stalks that hold them well above the leaves. The flowers are spike-like racemes of red-brown, and they bear a light, crimson scent. 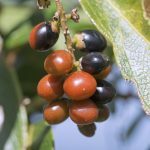 Once you are engaged in honeybush cultivation, you’ll be prepared to answer curious neighbors asking “What is a honeybush?” Just show them the lovely plant in your garden. If you want to start growing honeybush plants, it isn’t difficult. You can grow it as a perennial in USDA hardiness zones 8 through 10, or an annual in cooler regions. For efficient honeybush cultivation, plant the shrubs in full sun or partial shade. Make sure the soil is moist and fertile for best results, although this resilient plant won’t die in lean, dry soil. Offer protection from strong winds, though, which can damage the plants. Caring for Melianthus honeybush plants is not difficult. When you are growing honeybush plants outside, be generous with the mulch in winter. Use 4 to 6 inches of dried straw to protect the plant roots. Pruning is also important. Keep in mind that Melianthus is a rangy plant in the wild. It looks better shorter and fuller when used as an ornamental. To that end, cut the stems back to three inches above the soil level just when the plants starts to grow in springtime. Allow it to grow new foliage every year even if the prior year’s stems survive the winter. 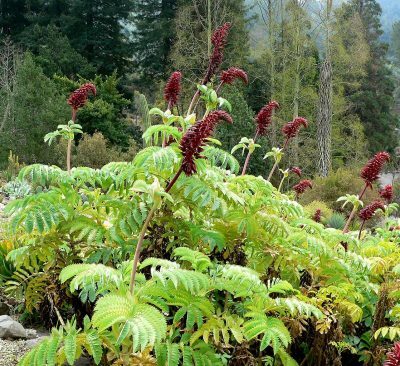 Read more articles about Melianthus Honeybush.